Today, November 7th, Platinum selling, two-time GRAMMY Nominee Lauren Daigle will make her late-night TV debut on the Tonight Show Starring Jimmy Fallon. Last month, Lauren’s long-awaited album, Look Up Child, debuted at No. 3 on the all-genre Billboard Top 200 Album Chart, No. 1 on the iTunes all-genre chart, and earned her a second American Music Award. She has been applauded for her ‘husky, honeyed voice and meaningful seek-and-find lyric’ by Entertainment Weekly and Billboard exclaimed that her ‘music is reaching beyond one genre.’ The Tonight Show Starring Jimmy Fallon airs on NBC at 11:35/10:35c. 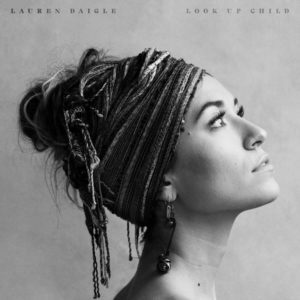 Lauren Daigle is a two-time Billboard Music Award winner, a two-time Grammy nominee and two-time American Music Award winner. With a voice that is both smoky and sweet, Daigle has forged a unique sound that is reminiscent of the soulful, heart-in-throat vulnerability of Adele mixed with the raw power of Amy Winehouse. Her ability to connect with her audience has captured critical acclaim and recognition as the fastest-selling new artist for her genre of the last decade. Her debut album, How Can It Be, was certified platinum by the RIAA and produced three certified Gold singles. On November 29th, Lauren will embark on The Behold Christmas Tour in Roanoke, VA making stops in Orlando, Lafayette, and San Antonio before wrapping in Austin, TX on December 16th. The second leg of her headlining theater tour will kick off in early 2019.